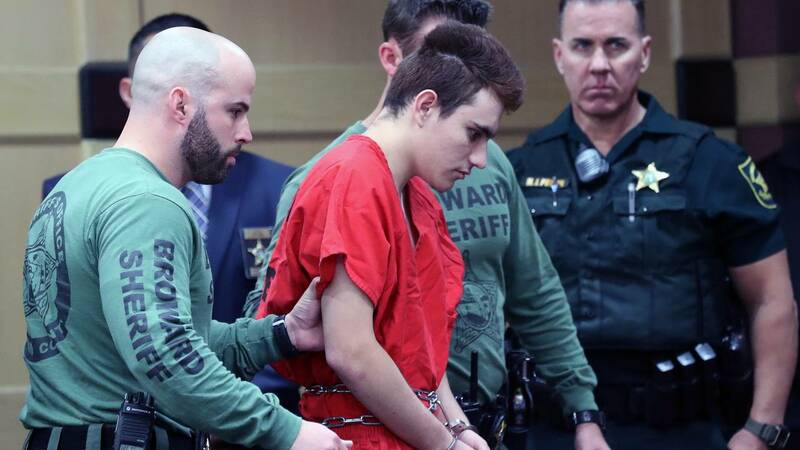 (CNN) - The latest in a string of letters sympathetic to the young man who shot and killed 17 people at a Florida high school asked the judge in the case to show mercy on Nikolas Cruz, calling the shooter "a vulnerable and disabled little boy inside a teenager's body." Broward Circuit Judge Elizabeth Scherer included a three-page letter from a Minnesotan this week in the court record of Cruz, 19, who faces 17 counts of premeditated murder. The Broward County public defender's office, which represents Cruz, said last month that more than 100 pieces of mail sympathetic to the teen had arrived at the county jail where he's being held. Postmarked from all over the United States and Europe, the letters are from women, girls and men. Some are handwritten; others typed. They are written on college-ruled notebook paper and in fancy greeting cards with cartoons. Some arrived with sexually suggestive photos of women and teens in lingerie. One handwritten note from a Girl Scout troop in New Jersey was signed by more than a dozen girls. "May God Forgive," they wrote. The latest letter, addressed "Dear judge" and written by hand, said research into Cruz's past led the writer to believe the gunman suffered from a developmental disability and "was fearful of other people and most likely was threatened by bullies." "I'm sure his mom did her best, especially after he lost his dad, but obviously Nik, a poor, hurting, lonely child living in a confused world was not helped," said the author, adding that Cruz appeared consumed by sadness and depression. Cruz was adopted at an early age by Roger and Lynda Cruz. Roger died of a heart attack in 2004, leaving Lynda to raise Nikolas Cruz and his adopted younger brother as a single mother in Broward County. Cruz had been living in suburban Palm Beach County with two families since Lynda Cruz's death in November. "It's clear this was a kid that was neglected and taken advantage of, a vulnerable and disabled little boy inside a teenager's body," the letter said. The author offered condolences to the families of the students and teachers killed on February 14 at Marjory Stoneman Douglas High School in Parkland and asked that they forgive Cruz. "This was not done out of evil -- it was done out of sadness and a disconnect with society," the letter said. "He had nobody after his mom died. She was his rock." Cruz doesn't have access to the media, and he cannot receive mail while on suicide watch, Broward County Public Defender Howard Finkelstein said last month. The public defender said he didn't know whether Cruz will have access to mail when he gets off suicide watch. Cruz has confessed to being the gunman in the shooting, court records show.